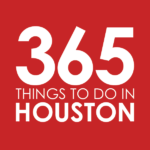 It’s not just humidity in the Houston air this month, you’ll also find love and plenty of enticing aromas at these food and drink events throughout February 2019. This month, Houstonians can get their fill of smoked meats, gumbo, wine and more. Things kick off with Super Bowl events, including a Super Beef Sunday barbecue extravaganza and fun industry potluck party. Looking to celebrate the one you love? Try a romantic wine dinner, or the even more romantic Valentine’s Day pairing of beer and cheese. Finish the month by with the Creole magic of Mardi Gras or the smokey goodness of the Houston Rodeo’s annual Bar-B-Que Contest. And that’s just a taste of what February has to offer. Super Beef Sunday at Saint Arnold Brewery | Sunday, February 3 – Pregame for the Big Game by filling up on masterclass barbecue at Saint A’s 6th annual Super Beef Sunday, featuring smoked goods from the legendary Louie Mueller Barbecue alongside Eddie O’s Texas Barbecue and Eaker Barbecue. Both the meats and the beers will be flowing, and Louie Mueller will also have its pre-wrapped whole brisket and beef ribs available for pre-purchase with packages ranging from $75 to $100. Tickets are $50 per person and include tastings from all three pitmasters, beer, and a commemorative pint glass. 11am to 2pm. Super Bowl Sunday Industry Potluck at Eight Row Flint | Sunday, February 3 – The icehouse will host its 3rd annual industry potluck on Super Bowl Sunday, as Agricole Hospitality cooks will come with all kinds of deliciousness to share. Bring a dish and join the party, which also features an all-day happy hour with $3 select craft beers, $6 old fashioneds, mules, and margaritas (rocks and frozen); and $7 Chenin Blanc and Pinot Noir wines. 4pm to midnight. Wine Pairing Dinner at Grazia Italian Kitchen – Pearland | Thursday, February 7 – Grazia Italian Kitchen Pearland will be preparing a romantic four-course meal with wine pairings from The Prisoner Wine Company, benefiting the Counseling Connections for Change, Inc. Mental Health Services Program. Tickets are $100 per person. 6pm to 8:30pm. Urban Harvest Fruit Tree Sale at Sawyer Yards | Saturday, February 9 | No Cover – Urban Harvest’s annual fruit sale offers an opportunity for gardeners of all skill levels to shop for more than 100 varieties of fruit trees that are acclimated to Houston’s climate and soil. 9am to 1pm. 13th Annual Rory Miggins Irish Music Festival & Stew Cook-Off at Lucky’s Pub | Saturday, February 9 – This Irish-kissed annual event will bring together cook-off teams to compete in a lineup of categories: Irish coffee, Irish dessert, open Irish dish, chicken, Irish stew, chili, and best booth. Guests can sample food the variety of cuisine for a $10 entry fee at the door; children under 12 get in free. The family event will take place rain or shine with awards and raffle beginning at 5:15pm. All proceeds benefit the 60th Annual Houston St. Patrick’s parade. More details TBA. 11am to 6pm. Houstonia Gumbo Smackdown at Sugar Land Town Square | Saturday, February 9 – Load up on gumbo at the 6th annual Gumbo Smackdown. The outdoor event will feature endless drinks, entertainment, and of course, a whole lotta gumbo. Guests can vote for their favorite gumbo and stick around to see who takes home the coveted People’s and Judges’ Choice trophies. Tickets are $45; $20 for ages 13 to 20; free for kids 12 and under. Noon to 4pm. Valentine’s Beer & Cheese Tasting at Saint Arnold Brewery | Sunday, February 10 – Houston Dairymaids and Saint Arnold are teaming up for their annual Valentine’s Day tasting, pairing handcrafted beers with a variety of Texas made cheeses. Reservations are $35 per person and the event will take place in the Beer Hall. 1pm to 3pm. HSLR’s World Championship Bar-B-Que Contest at NRG Park | Thursday, February 21 through Saturday, February 23 – Kick off the rodeo festivities with this three-day barbecue contest and festival. More than 250 bbq aficionado-led teams will compete to win the crown; and while most tents are invite-only, there are some great open-to-the-public venues, including The Garden, Rockin’ Bar-B-Que Saloon, and the Chuck Wagon (the carnival is also open with wild rides and fun games). Tickets can be purchased for $20; $5 for children 3 to 12 and include one-day admission to the carnival, Saloon and Chicken Wagon; a complimentary bbq plate with sliced brisket, beans, and chips; and access to live music areas. Times vary. The 107th Celebration of Mardi Gras! Galveston | Friday, February 22 through Tuesday, March 5 – Over 3 million beads will be thrown at Texas’ largest Mardi Gras celebration, with the lineup of festivities including elaborate parades, headliner performances and concerts, balcony parties, masked balls, an official 5K run, family events, and plenty of feasting. Ticket prices for party passes, balcony tickets, and general admission vary. Times vary daily. 4th annual f.r.e.s.h. Gumbo Cook Off at Wicklow Heights | Saturday, February 23 – You’ll need to bring your beads and your appetite for the 4th Annual f.r.e.s.h. Gumbo Cook Off, where local teams will show off their culinary skills and craft everyone’s favorite Mardi Gras celebration dish in support of the Houston Food Bank. Tickets for early bird tickets are $20; tickets at the door range from $25 to $30; VIP tickets range from $70 to $100. 2pm to 5pm.